The signs for Republican gubernatorial candidate Mike Dunleavy are all over Anchorage, paid for by a political campaign. The same campaign spent hundreds of thousands of dollars on pro-Dunleavy television and radio commercials. It bought ads on political blogs and produced campaign hats and shirts. It even opened its own office. This pro-Dunleavy campaign, though, was not controlled by Dunleavy himself. Instead, it was an independent effort coordinated by an Anchorage Republican political consultant, Matt Larkin. 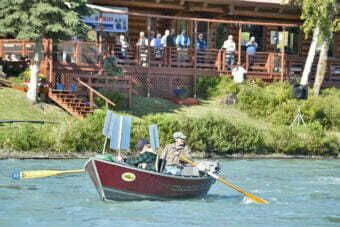 And, until a late influx of money in the final weeks before the election, most of its cash came from two people: Dunleavy’s brother Francis and Bob Penney, the developer and recreational fishing advocate who has long donated to Republican candidates and causes. The backgrounds and agendas of Penney and Francis Dunleavy have received relatively little attention, even as they’ve combined to spend more than $700,000 to get Mike Dunleavy elected. Dunleavy’s rivals say the external spending was instrumental in propelling Dunleavy to the GOP nomination. That’s making some Alaskans nervous — particularly commercial fishermen, some of whom see Penney’s ideas as a threat to their livelihoods. Tyson Fick, a Juneau fisherman who catches crab and salmon from the 37-foot Heather Anne, said he’s worried that Penney’s financial support will translate into outsized influence over Dunleavy if the Republican is elected. Fick is nervous that Dunleavy would, if elected, cut fisheries management budgets and other state programs that are important to the commercial fishing industry. He’s also worried that Dunleavy would take Penney’s recommendations when it comes to appointing a fish and game commissioner, and choosing people to serve on the boards and commissions that divide Alaska’s fish between different types of fishermen. 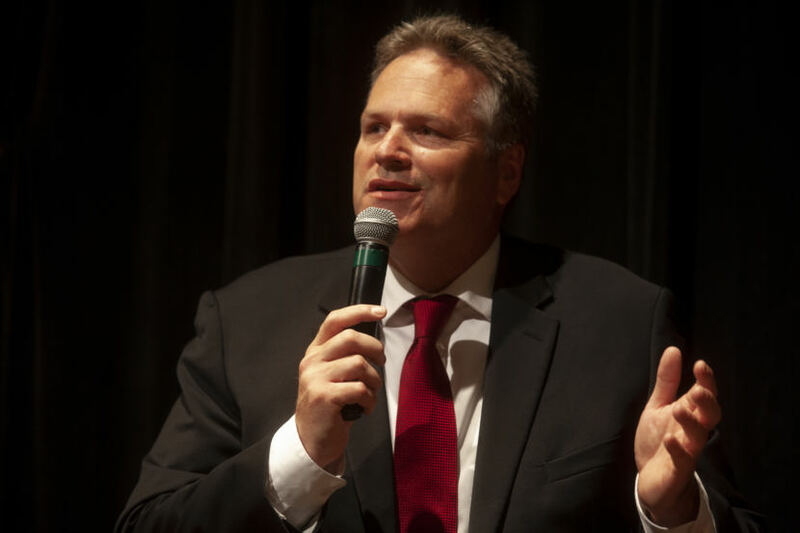 Dunleavy would not agree to be interviewed about “Dunleavy for Alaska,” the effort funded by Penney and Francis Dunleavy. In a prepared statement sent by a spokesman, Dunleavy said he doesn’t consult with any of his three brothers about state business. Penney is a friend of Dunleavy’s, but he also won’t get special treatment if Dunleavy is elected, the statement said. Dunleavy for Alaska is an “independent expenditure group” — the state-level equivalent of the “super PACs” that can accept unlimited donations, as long as their efforts aren’t coordinated with candidates. After the U.S. Supreme Court’s 2010 Citizens United decision loosening campaign finance limits, state regulators stopped enforcing an Alaska law that bars individuals from donating more than $500 to groups like Dunleavy for Alaska. Dunleavy for Alaska was formed in January, and through early October, the donations from Penney and Francis Dunleavy made up most of the group’s revenue. That changed as the race narrowed from three major candidates to two earlier this month. In the past three weeks, Dunleavy for Alaska collected $850,000, including $200,000 from a construction company, $80,000 from a pair of executives at telecommunications company GCI, $50,000 from transportation company executive Jim Jansen and $25,000 from philanthropist Ed Rasmuson. Still, Francis Dunleavy has donated $400,000 to the group, while Penney has given $325,000. 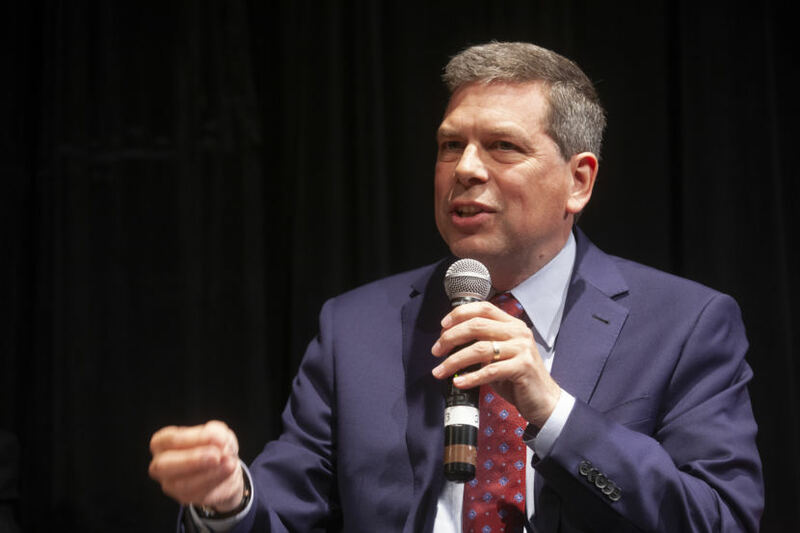 Their combined total, $725,000, nearly matches the $760,000 raised by the campaign of the Democratic gubernatorial candidate, Mark Begich. Francis Dunleavy, who lives in Houston, spent 25 years working at investment bank Bear Stearns before the company collapsed in the 2008 financial crisis. He then moved to Bear Stearns’ buyer, J.P. Morgan. Francis Dunleavy wouldn’t agree to an interview. And there’s little publicly available information about his political views or background, with one exception: his role in an energy markets controversy that made national news. A few months before his retirement in 2013, Francis Dunleavy was named in a $410 million settlement that J.P. Morgan agreed to pay after a Federal Energy Regulatory Commission investigation. The commission alleged that a unit led by Dunleavy had engaged in fraudulent practices in energy markets in California and the Midwest. J.P. Morgan, in the settlement, agreed that Francis Dunleavy’s unit developed specific strategies to sell electricity from aging power plants that were often unprofitable at prevailing market rates. But it neither agreed nor denied the commission’s allegations that those strategies defrauded power markets and broke commission rules. Dunleavy was not personally penalized. He also said he does not expect to have a role in state government if his brother is elected. “I am not well-informed enough about Alaska policy issues to make any recommendations to my brother,” Francis Dunleavy said. Penney, by contrast, has strong opinions on fisheries issues. The developer moved to Alaska in the early 1950s and got his start in Anchorage selling and manufacturing mobile homes. He then helped develop a tract of land east of downtown that includes the Northway Mall. For decades, Penney has also been a player in the state’s fish wars between commercial and recreational salmon fisherman, and he’s been a deep-pocketed political donor to politicians. His advocacy primarily targets commercial setnetters, who string nets along the shore near the mouths of rivers to catch sockeye salmon. 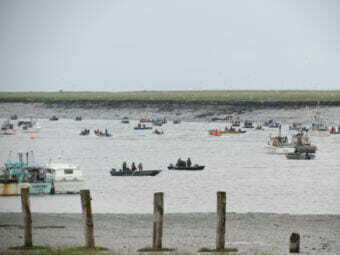 Penney argues setnetters catch too many king salmon mixed in with sockeyes and has pushed the state to crack down, to make more kings available for recreational fishermen on the Kenai River. He recently worked with a group that proposed a ballot initiative to ban commercial setnets in “urban areas,” though the Alaska Supreme Court ruled that was unconstitutional. Penney wouldn’t agree to an interview. He said in an emailed statement that he’s “committed to helping the salmon resources of Cook Inlet,” which the Kenai River flows into. While Penney is focused on the Kenai River, Fick, the Juneau fisherman, said he’s worried that Penney’s favored policies, if adopted by Mike Dunleavy, could hurt commercial fisherman in other parts of the state. Dunleavy’s appointees to the Board of Fisheries, for example, will make decisions that affect fisherman statewide, from Southeast to Prince William Sound to Bristol Bay. Then there’s Dunleavy’s own history as a state senator: He once proposed a 12.5 percent royalty on commercially caught Alaska seafood, which Fick said would be “crippling.” And on the campaign trail, Dunleavy skipped the debate on fisheries issues in Kodiak — typically a mainstay for statewide candidates. But Dunleavy’s supporters say concerns like Fick’s are overstated. “It’s not based on facts. It’s based on fearmongering,” said John Moller, a Juneau commercial fisherman who also co-chairs Dunleavy’s campaign. Dunleavy’s tax proposal came in response to a fishing industry push for state spending on fisheries management, Moller said. “It was about their own access to their own fishery, and how they actually can participate in helping fund their industry,” Moller said. Dunleavy’s campaign also noted a recent $200,000 donation to Dunleavy for Alaska from a commercial fishing industry group, the Pacific Seafood Processors Association. “There is nothing in the record that really justifies that fear,” Moller said.